Hand woven fabrics and handcrafted designs are the pride of India. The world has always been amazed by the beauty and elegance that Indian handloom fabric industry provides. India has a rich heritage and history of hand-woven fabrics that is till date being preserved. Right from weaving of cloth to weaving designs using exceptional creative imagination, these fabrics are very much in demand worldwide. 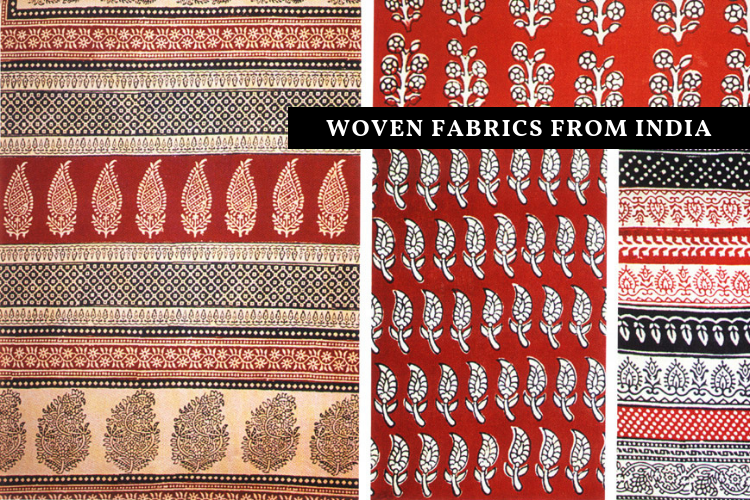 These are few of the many hand-woven fabrics from different parts of India. This exquisite silk fabric is made out of threads that are obtained from yellowish brown colored wide-winged silkworms. This fabric is made in Bhagalpur, Bihar & in Malda district of West Bengal. The fabric is made from the protein extracted from these silkworms. The fabric is originally made in natural golden color and is dyed in different colors later on. Tussar silk is very lightweight and delicate in nature. The fabric Pochampally Ikat comes from the city of silk, Bhoodan Pochampally, Telengana. It is identified by its geographical Ikat patterns and vibrant colors. Pochampally Ikat is lightweight and smoother compare to other silk fabrics. Originally from Patan, Gujarat, this fabric is probably one of the most expensive fabrics of India. The reason for this is the amount of time that is involved in the making. The time varies from six months to one year for weaving one saree. This fabric is very unique & only made by three families in Patan. Born in Rajasthan, Daboo painting is a technique of printing using blocks on a fabric. It is labor intensive & has many stages of printing and dyeing. Various types of designed stamps are used in Daboo fabric. In the recent years, Daboo fabric is being used in the creation of a lot of indo-western apparel. Made from pure silk & cotton threads, Maheshwari fabric is named after its place of origin that is Maheshwar in Madhya Pradesh. The art was introduced to the world in 18th century & is very popular even today. The cotton & silk threads are combined to make a thicker fabric & woven into a beautiful piece of handloom. This fabric is the most beautiful fabric that is known for its vibrant color combinations and designs. The name ‘Paithani’ was given for its city of origin that is ‘Paithan’ & its major manufacturing happens in Aurangabad, Maharashtra. The specialty of this fabric is that it is woven from silk and its pallu is made purely out of Zari. Ajrakh fabric is made in Kutch, Gujarat by the people of Khatri origin. Ajrakh is a square printed block that is used on the fabric to make designs. This fabric is a combination of handloom fabric and vegetable colors. This fabric takes 14-16 days to manufacture making it a gem in its appearance. All these fabrics are unique in their own way and have been preserving the art and history of India since many centuries. These beautiful and delicate fabrics are such a lovely blessing that we have received from our ancestors.